Home › Cool Change Color Changing Margarita Glass Set 4 Plastic Glasses 10 Oz Multic.. 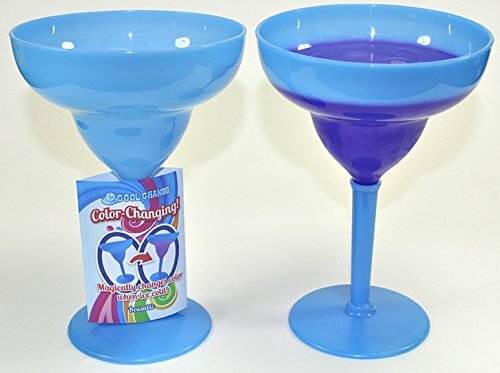 Cool Change Color Changing Margarita Glass Set 4 Plastic Glasses 10 Oz Multic..
Toast to a fiesta or any occasion and make it more fun with plastic colorchanging margarita glasses! Great addition to any party. Amaze everyone! Thisset is perfect for birthday parties, party favors and everyday use.